Welcome to a new edition of the Sohbet with a contemporary seeker of truth and wisdom, Dana Hayne. 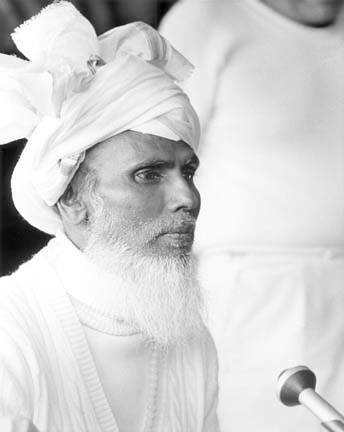 Our guest Dana is author of her recently (Aug 2017) published book GPS for the Soul: Wisdom of the Master, who lived and studied alongside His Holiness Muhammad Raheem Bawa Muhaiyaddeen, a spiritual teacher from Sri Lanka, for thirteen years until his passing in 1986. 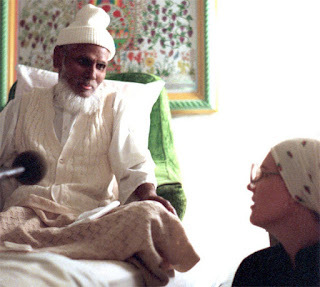 Bawa, those who knew him, visited him and learned from him, testifies to his incredible character and spiritual depth. It is a tremendous grace to be able to spend precious time in proximity to such realized human being. This alone makes her book a very important document and journal for spiritual journey and the truth one witness through it. Sohbet or Spiritual conversation, as Sufi Teacher Kabir Helminski puts it, "Spiritual Conversation is divine light. It brings us close together and melts us in unity." I pray that in this Sohbet, as we share it, will also be granted a taste of that unity that comes from togetherness with the hearts blessed in a state of togetherness with the Friend Who is al-Jami, the One Who Gathers all within the Great Heart. Bismillah! I thank Dana for sharing this interview and pray that God bless her Path and sanctify her journey to the Supreme Destination. Q. Dear Dana, thank you for your wonderful book. I never met Bawa in physical world, but from the very early days of my first coming to know about him, I always felt a deep connection with his soul. So I was very delighted to find a book on Bawa from such a first hand disciple like you. Those who do not know you, how would you introduce yourself and please tell us a little bit about how you first met Bawa? Dana Hayne: About myself— At present, I’m a retired nurse, wife, mother, and grandmother. Sorry, I digress. At any rate, despite their intellectual brilliance, my parents could not answer the questions dogging me. Nor could the church or my teachers or my friends. I found myself boring though life like a miner looking for the golden nugget that would set me free. I felt as though I were starving and there was a great dissatisfaction in me. I didn’t realize how relentless I was in my pursuit or for that matter how discontent I was. As soon as I could, I flew the nest in search. In truth, I wasn’t even really sure what I was looking for. I just knew there was this burning desire to KNOW. First, I went to the VI and explored the realm of physical pleasures—sailing, diving, luscious fruits and all. An odd memory comes to mind of when I first arrived in this supposed paradise. New to the island, I was lonely and in need of company, and went into a bar. I was sitting there at the bar among boat captains and sailors and was talking to a man, who was probably a decade older than my 20 year old self. I’m chatting with him, asking questions about life, truth, whatever. And he stops me and says, “What are you doing in here? You don’t belong in here.” I looked at him quizzically thinking, “What do you mean?” He’d seen an innocence and other-worldly-ness in me of which I was oblivious and which was so not suited to a bar, and urged me to leave, which I did, of course. This memory calls to mind a very powerful reality check Bawa offered me when I first met him. You see, I was really quite a Pollyanna and thought everyone was endowed with goodness and righteousness, and ignorantly expected to be treated correctly by everyone. Not so according to Bawa, who said, not everyone in human form is a human being. “Some have the qualities of the fox and will trick you. Others are like a cat that will seductively rub against you, but then furtively turn and attack.” At any rate, Bawa indicated that there are seventy-three groups of souls in the world, and of those, only three are interested in truth and God and reality. All the other souls are of vastly degraded wisdom, are deeply embedded in illusion, and are clueless and totally disinterested in the notion of reality. Furthermore, he indicated that it greatly behooved me to develop the discernment to suss out those wolves in sheep’s clothing that I not fall prey to them. After the failure of my island experience, I went to Israel where I worked on a kibbutz for about a year. I so dearly hoped that the Holy Land had answers for me. I’d always had a love for Jesus and the Virgin Mary. I’d kept this love secret in my heart, for fear that if I shared it, someone might diminish or soil the connection somehow. It’s so odd that talking about all this brings back forgotten memories, dormant and hidden in the unconscious. I remember as a little girl, how I’d sneak off from the other kids and go up to this tiled bathroom we had on the second floor. I’d cover my head with a scarf and perch myself on the edge of the sink and look into the mirror. Somehow I imagined that I was Mary Magdalen and I’d sit there on the edge of the sink, look into the mirror and chat with Jesus, like we were good friends. Go figure. At any rate, the Holy Land was hugely exciting and stimulating, but it didn’t provide answers for me; so I came back to the US to live with my sister, who lived in Woodstock, NY. Well, Woodstock unbeknownst to me was a hot bed of for radicalism. This was July of 1973. 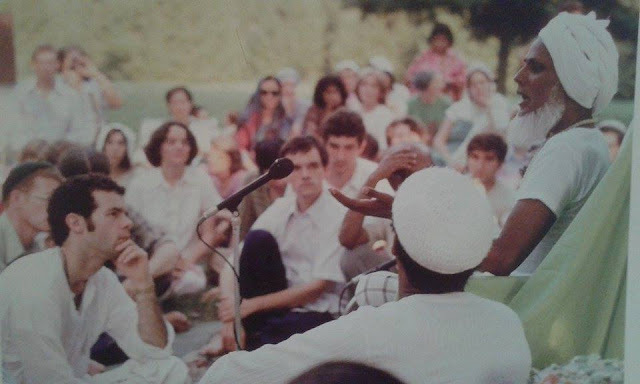 Woodstock twisted my head in yet another direction because so many individuals were spouting off about truth and reality—Hilda Charlton, Ram Das, Muktananda, Swami Satchidananda—but when I met them and listened to them, their energy did not seem congruent with their words. Fortunately, at this time I met a woman, who was a disciple of Bawa’s and who brought me to Philadelphia to meet him. Q. You mentioned in the Preface of the book that you consider Bawa as your “father of your soul?” Could you please explain why? Dana Hayne: You see, nothing had prepared me for the incredible brilliance and clarity of Bawa Muhaiayaddeen! There are just absolutely no words to explain meeting a brilliance and power and purity so rarified that you wanted to bend down and put your head on the floor in utter humility and respect! A consciousness so astute and so fabulously loving that it could see past all your karmic flaws and ignorance and remarkably have you acknowledge for yourself your own unique, God-given lovely-ness. On my first meeting with Bawa, he sat quietly on that bed and emanated a peacefulness that was so palpable, it blanketed me with a force field of safety so profound that all my worries, anxieties, or mental agitation just stopped. As soon as I felt this peace, I knew that this is what my soul had been hungering and searching for my whole life and no one had been able to direct me to it until now. And more importantly, not only did Bawa demonstrate this state of mounam or complete inner silence, he offered to teach wisdom as the ‘tool’ to uncover it. I might add also, that for me personally, Bawa was in contrast to all the other teachers I had met because when I peeked behind the veil, shrouding their private lives, it seemed as though they spoke with forked tongue. Not so for, Bawa, whose actions and words under close examination were totally congruent. Q. Spiritual journey and experiences are often very personal, wells up from places of vulnerability, from places of intimate space - which for many, difficult to lay bare to the outside world. I must say that many times while reading the book I could not help but appreciate your courage and style of expressing experiences that can be so private. How did you muster so much courage to write this book? Was there any special inspiration from what in Sufism sometime we call as world of unseen, from behind the veil regarding writing this book? Dana Hayne: Indeed, the inspiration for writing this book came from Bawa himself. 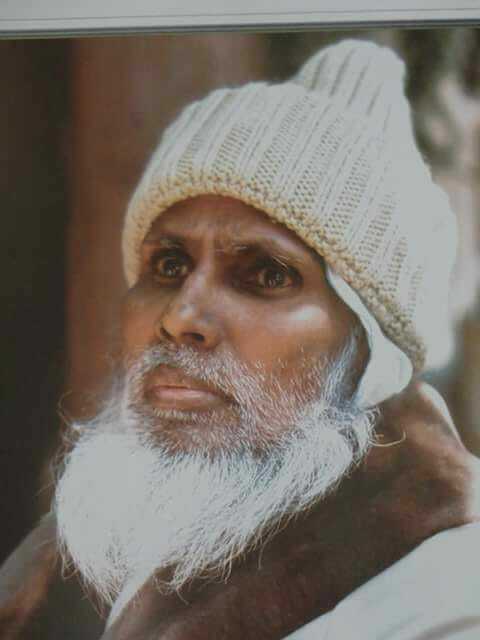 I was in Bawa’s presence several times when he mentioned that his children should write their hadith or personal experiences of studying with him. In addition and relative to this, whenever he asked someone to speak publicly before an audience, he always advised them to “Speak from your experience.” So after Bawa died, I asked myself if I had completed the things he asked of me and writing my hadith or experiences with him was something clearly I had not done. It took many, many false starts over decades to write this little book as it has required great introspection and self-inquiry to see and acknowledge the lessons, which, by the way, I am still harvesting. The raw honesty you spoke of also came from Bawa. 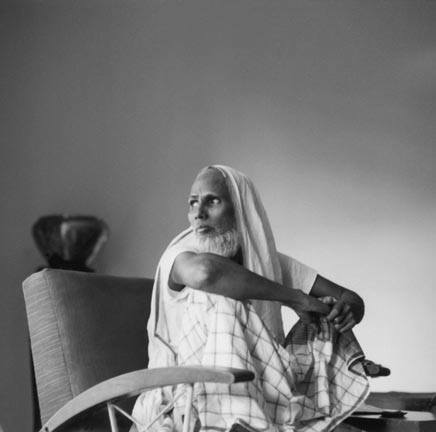 Frequently individuals, who came to Bawa, would request a private session with him. To which he would reply, ”Why? There are no secrets.” What I understood was that the intimacies this person held on to as dear and private were in truth universal, and likewise the wisdom this person needed was universally needed. What I understood was that we are all having this human experience and we are all subject to the same ‘sins’ of separation whether they played out in the world or only in our minds. From time to time, Bawa would rattle off this list of the deadly sins—doubt, suspicion, jealousy, envy, lust, miserliness, anger, hastiness, greed, fanaticism, possessiveness, differences, murder, falsehood, intoxicants….” and I would think to myself, “Well, at least I haven’t murdered anyone,” only to have him say, “I watch how you all mentally devour each other.” For Bawa, outer control of bad qualities was only a beginning. Bawa constantly urged us towards self-awareness with the goal of merging with God or truth. He spoke of that truth as purity—unblemished and untainted. He used the analogy of a white cow, saying that a white cow is not white if it has a black spot on it. That being the case, he urged us to clean ourselves with every breath. There’s an expression in Islam that ‘marriage is half the deen’ or half the spiritual path. Anyone who has been in relationship knows that one’s partner is privy to all—all the good, as well as all the dirt, which we shovel under the rug so we can look presentable to the world. Living communally all those years was not unlike a marriage, and I had many, many mirrored opportunities to look under the rug. And quite honestly, living in the presence of such a clear mirror as Bawa, there was no hiding because the spots just stood out. One of the dangers I’ve witnessed on the spiritual path is the mask or lack of awareness of where one’s vibrating. I find that so often spiritual seekers talk the talk because it seems like the right thing to do. I cannot tell you how many times when I ask other spiritual seekers how they are, their response is, “Alhamdulillah! All Praise is to God!” only to have them in the next breath say something to the effect of, “Did you hear what that scoundrel, T…. , said?” Now it just defies law. You cannot be on more than one station at a time. You cannot be in a state of bliss and resentment at the same time. Purity is purity, is purity. I used to really rankle at the constant spotlight on my qualities until I understood the blessing. Bawa used to say that we should live life as though death were a garland around our neck so that we’d choose purity with every breath. My universal hope and prayer is that each of us, all of us continue to clean, clean, clean so that we can go HOME. HE stood me in front of mirror. HE twirled me all around. What a wonderful FRIEND, who continues to give beauty tips so late in the game!